Biocalcification or microbially induced carbonate precipitation (MICP) is gaining attention from the research fraternity, primarily ascribed to their eco-friendly applications. Bacterial strains have been isolated from various sources and their ability to precipitate carbonate has been studied extensively. 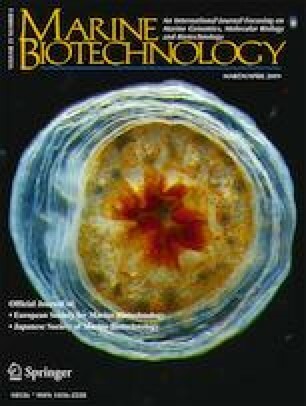 In spite of the fact that the deep-sea environment is a potential source for bioprospecting, meager reports exist on the isolation of biocalcifying bacterial strains from deep-sea. In this study, a deep-sea sediment sample obtained from off-Barren Island coast in the Andaman Sea was investigated for biocalcifying strains. Based on the urease activity and the ability to produce calcite crystals, the strain NIOTVJ5 was chosen for further investigations. The strain showed a similarity to Bacillus thuringiensis through 16S rRNA sequencing and was shown to possess positive urease, protease, amylase, catalase, and oxidase activities. The isolate was found to be piezotolerant as it was able to survive at 100 bar pressure with significant changes in the spore morphology. The strain was able to produce strong monoxenic biofilms as well. Maximum urease activity was 554.03 U/mL and it precipitated 1.80 g/L of carbonate crystals. Scanning electron microscopy coupled with energy dispersive X-ray spectroscopy confirmed the presence of calcium carbonate. The carbonate polymorph was identified as calcite using X-ray powder diffraction. The impact of biocalcification by NIOTVJ5 on concrete specimens indicated an increase of 30.91% in their compressive strength. This is the first report of a biocalcifying strain from a deep-sea sediment around the Indian subcontinent region. This study indicates the potential of the strain NIOTVJ5, which can be employed for various biotechnological applications. The authors are thankful to Dr. R. Kirubagaran, Head, Marine Biotechnology Division, National Institute of Ocean Technology for providing his consent to carry out this work at NIOT. The authors would like to thank Dr. G. Dharani, Marine Biotechnology Division, National Institute of Ocean Technology for his constant suggestions on this work. The authors extend their thanks to Dr. Dilip Kumar Jha, Project Scientist-I, Marine Biotechnology Division, National Institute of Ocean Technology for sampling sitemap preparation. The authors would like to thank Dr. K. Balasubramaniam, Mr. K. Anbazhagan, and Mr. Aravindh, HiTech concrete solutions, Chennai, for their immense help in carrying out the experiments on concrete materials.